Isn't this dress so much fun? Just perfect for roller skating with it's flowy, full skirt! And yes, I'm a grown woman who owns her own roller skates. I've loved skating ever since I was a little kid strapping these to my sneakers, but I didn't own a pair that fit my adult feet until about six years ago. 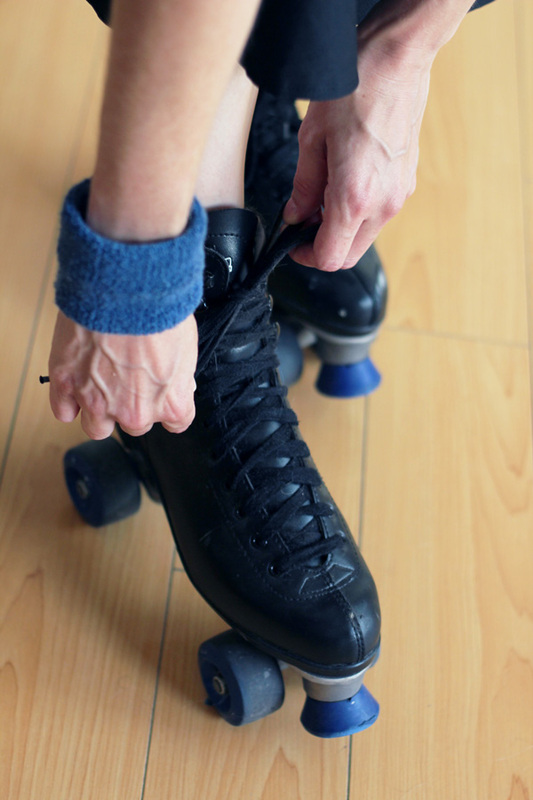 It was less than a year after I moved to Brooklyn, and I was looking to make some friends when I happened upon a blog post about a roller skating club near where I lived. Needless to say I bought skates that weekend (along with this wrist band) and was there the following week. Sadly the club is no longer together, but I did make a really good friend in the process. In fact, I'm heading back to the east coast next weekend for her wedding. Roller skating: bringing friends together since 2006! I'm linking up with #YOLO Mondays.